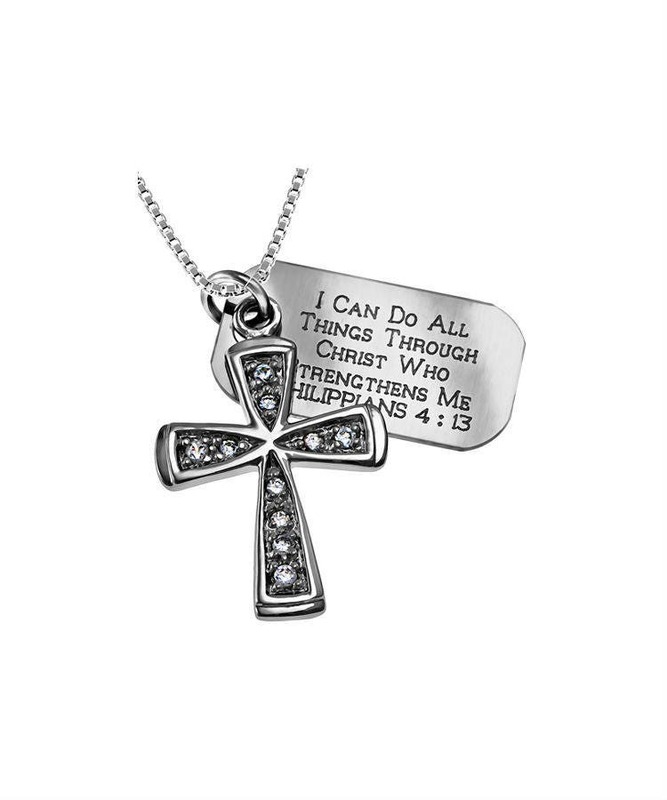 Pick Your Favorite Bible Verse for a Custom Necklace! Trinity star Necklace .925 sterling silver with jump ring; mirrored aluminum scripture engraved tag. Tag size 1" x 1/2". Comes on an 18" chain. You have your choices of Bible Verses that are on the small tag. The wording of the verse on the tag will read exactly as shown below.